That Marcia Clark would appear on such a list is not surprising. The woman is equator-hot these days. This year’s hugely popular FX mini-series, “The People v. O.J. Simpson: American Crime Story,” thrust the so-called Trial of the Century back into the national dialogue 20 years after the country came to a standstill to hear the verdict. The series generated a deafening buzz – but none as loud as it was for Clark. The actress who portrayed her, Sarah Paulson, won a well-deserved Emmy for her performance and Clark sat next to her at the award’s show. Clark’s other recent television appearances include The View, Ellen, The Today Show, Late Night with Seth Myers and NBC Nightly News. On November 8th Clark published her seventh book. 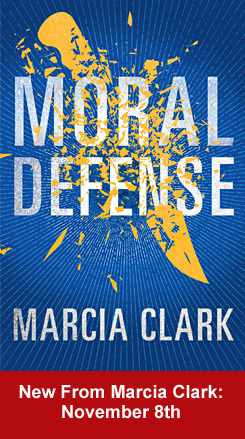 Moral Defense – a legal thriller -- is the story of an ambitious, but struggling, criminal defense attorney in Los Angeles. Earlier this year Clark introduced this character in Blood Defense. It was a #1 bestseller on Amazon, and Clark is now writing a pilot for NBC based on the book. While the Simpson trial has once again altered the 63 year old Clark’s life, there is a part of it that has never wavered. Marcia Clark was, and still is, a practicing lawyer. For the past decade-plus she has been assigned by the California Court of Appeal to represent indigent defendants. These are serious cases – often murder – and Clark has handled well over a hundred of such appeals. The most famous prosecutor of all-time is now a criminal defense attorney (where she started her career). Most of the world has only ever seen Marcia Clark under lights. But, in fact, she spends most of her time behind closed doors -- doing the solitary work of writing briefs, novels and scripts. Twenty years ago Marcia Clark spent fifteen months in your living room. This year she was back for a ten week visit. But it turns out that there’s a lot about this houseguest that you may not know. Marcia Clark was kind enough to find time in her insanely busy schedule to speak to me about her appellate work, fiction writing, the FX series (Did you really smoke that much?) and, of course, Simpson (Clark never calls him O.J.). Ironically, the most serious part of our discussion comes when I ask Clark what it was like being on the cover of MAD magazine. On a couple of occasions I’ve heard Marcia Clark tell interviewers that she represents indigent criminal defendants in appeals. But she said it in a matter of fact way. From this muted description, I suspected that appellate work was something that Clark did, now and then, to keep a toe in the legal profession and give something back. I went to Lexis to see what I could find – hoping to turn up a case or two where Clark was counsel for the defendant. I found two – and 130 more! Over the past ten-plus years, Clark has represented criminal defendants in at least 132 cases before the California Court of Appeal. That’s a little bit more than a toe. And to be clear – these aren’t jaywalking cases. We’re talking about highly complex cases, involving serious felonies -- often murder and robbery – following trials that obviously produced thousands of pages of transcript. I tell Clark that I was shocked to learn this about her – joking that this part of her life has been overlooked by all those preoccupied with her hair, Chris Darden and the O.J. glove demonstration. Clark explains to me that handling appointments, by the California Court of Appeal, for indigent defendants, was an ideal solution to two competing desires. She didn’t want to stop practicing law, but nor did she want to return to trial work, with its full-time demands and unpredictable schedule. While Clark points out that appellate cases can take an extraordinary amount of time (including appearances at oral argument, when necessary), the nature of the work affords the flexibility to take on other projects. The volume of her appellate work ebbs and flows, she says, depending on what else she has going on. But there have been months at a time when it has been seven days a week. I ask Clark if her clients know who she is? They do, she tells me. And despite her concerns at the outset, that her clients would not be comfortable being represented by a former prosecutor, that hasn’t been the case at all. I surveyed a number of decisions in Clark’s cases (many voluminous, as the California Court of Appeal is wont to do). And despite the adage that criminal defendants have long odds on appeal, I had no trouble finding lots of cases where Clark’s clients obtained relief -- in whole or in part. The pleasure in her voice is unmistakable when describing being able to get someone their life back after a successful appeal. 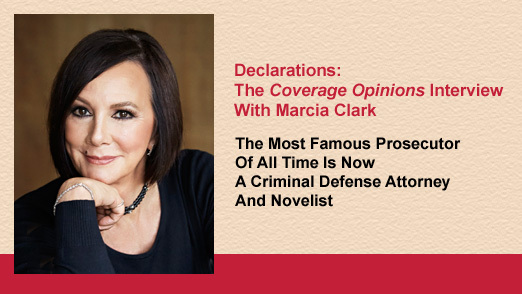 Marcia Clark’s career as an author began where you would expect – a memoir about the Simpson case. Clark (along with Pulitzer Prize winner Teresa Carpenter) published Without a Doubt in 1997 and the book hit #1 on The New York Times, and other, bestseller lists. It was re-released earlier this year with a new foreword. The Simpson trial played out before your eyes on television and was autopsied by the media nightly. But the things you saw in the courtroom is a small part of the book. Without a Doubt is all about what you didn’t see. That voyeurism, told by Clark with brutal honesty, makes the book riveting. As much as I enjoyed the FX Simpson mini-series, I could never escape wondering if that’s the way something really went down. But I never once had that feeling when reading Without a Doubt. Marcia Clark was in the room where it happened. These days it is writing crime fiction that is keeping Clark busy. Her interest in the subject goes way back. She says that as young as five years old she was making up crime stories and from there it was Nancy Drew books. I confess to Clark that this debunked my theory that her idea for writing fiction came from the make-believe verdict in the Simpson case. Clark lets out a healthy laugh. But despite the success of her memoir, and life-long interest in crime fiction, Clark waited a long time before taking the plunge. It wasn’t until 2011 that she published Guilt By Association, the first of four books about Los Angeles prosecutor Rachel Knight. Why the long wait I ask? 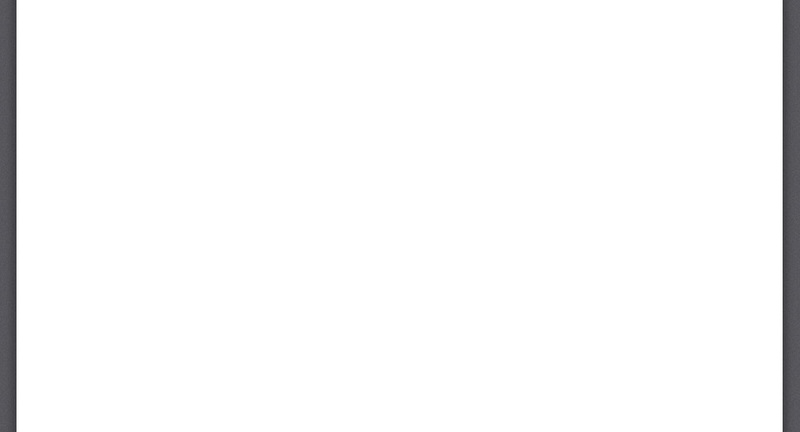 Simply a lack of confidence she tells me. So, instead, Clark got into writing for television. And from there she says she gained the courage to tackle the Rachel Knight series. Earlier this year Clark switched sides and published Blood Defense, the story of Samantha Brinkman, an L.A. defense attorney who represents a homicide detective accused of killing an actress and her roommate. Working from this side of the courtroom wasn’t new territory for Clark. She began her career as a criminal defense attorney. She says that she was drawn back to the defense side for more opportunities to be creative (prosecutors have to follow more rules) and develop moral and ethical challenges for her character. Blood Defense was wonderfully entertaining and passed my ultimate test for fiction -- of all the things I could do with my time, I chose to spend it finding out what happens on the next page. Clark isn’t just some celebrity who’s trading on her name to sell books. Maybe that thought crossed your mind. The woman can really write. Of the 4,500 Amazon reviews of Blood Defense (a staggering number in itself), 80% are four or five stars. Amazon reviewers can be brutal. Those are impressive numbers. If Clark weren’t a real writer, she couldn’t hide it in today’s book selling market. Clark is currently writing a pilot for NBC based on Blood Defense. The deal calls for a heavy penalty if it does not get shot. If all goes well, she tells me, the pilot will get made and picked up as a one hour drama series. If you’ve seen this year’s ten-part FX mini-series, “The People v. O.J. Simpson: American Crime Story,” you don’t need me to tell you how brilliant it was. That it was nominated for 22 Emmy Awards and won nine, including for Outstanding Limited Series, Outstanding Lead Actress in a Limited Series (Sarah Paulson as Clark), Outstanding Lead Actor in a Limited Series (Courtney Vance as Johnnie Cochran) and Outstanding Supporting Actor in a Limited Series (Sterling Brown as Chris Darden) should come as no surprise. Maybe it does seem surprising that a show about a story that everyone knows, especially the ending, would be so popular. But, then again, that didn’t stop Titanic from being the second highest grossing film of all-time. While the FX mini-series brought the Simpson trial back on the national stage, nobody received as much attention from it as Marcia Clark. Sarah Paulson’s portrayal of Clark was superb. Much has been written about the series providing long-overdue vindication for Clark. During the trial she was seen by many as buttoned-up, edgy and her appearance and trial performance were non-stop fodder for the media. The FX mini-series did a wonderful job of demonstrating the challenges that Clark faced during the trial – media scrutiny, child care, a divorce and custody battle and dismissive treatment by the judge and defense counsel -- and the toll that these took on her. All the while she was working night and day on the case. Witnessing these challenges play out made Clark very empathetic. With all that has been written about Paulson’s performance, the re-assessment of Clark and how much she enjoyed the mini-series, there is no reason for me to go there. Instead, I ask Clark the question that I’d wondered about for ten weeks: Marcia, did you really smoke that much? Clark’s smoking in the series was incessant. I’m surprised her cigarettes didn’t win an Emmy for Best Prop. “It was close,” Clark says laughing, although pointing out that she didn’t smoke outside the courthouse as portrayed in the series. And she is quick to mention that she quit after the case. Simpson: Was Nevada Payback For California? In 2008, O.J. Simpson was found guilty of robbery, kidnapping and other charges, stemming from an incident in a Las Vegas hotel room where he took sports memorabilia that he said had been stolen from him. Simpson was sentenced to 33 years in prison. He is eligible for parole in October 2017. Of course robbery and kidnapping are deadly serious crimes. But this is an odd case. Simpson was found guilty of stealing items that he claimed had been stolen from him. Nobody was hurt. There were no innocent victims so to speak. It was just a bunch of guys fighting over sports nick nacks. To some people, a 33 year sentence seems out of line with the nature of the crime. Translation – Simpson was sentenced in Nevada for the murders he committed in California. Indeed, given that possible perception, the judge made clear that her sentence had nothing to do with the California case. Does Marcia Clark see Simpson’s harsh Nevada sentence as payback for the California acquittals? Not at all, she tells me, pointing out that the sentence given to Simpson was within the guidelines. She also points out that Nevada has a reputation as a law and order state, for all defendants. Sure, the crime feels different than a stranger robbery or kidnapping on the street, Clark acknowledges, but it involved a gun and someone could have been killed. And once you’re convicted of those crimes, Clark says, the sentence is what it is. Marcia Clark appeared on the cover of MAD in December 1994. As a lifelong fan of the satirical magazine (and I still read every issue (really)), I was curious what it was like to achieve such an extraordinary (maybe even the greatest) pop-culture honor. Clark laughed when I brought it up. She clearly hadn’t thought about it for years. But as I was asking Clark what it was like seeing a cartoon of herself pulling a picture of Alfred E. Neuman out of an evidence envelope, I couldn’t rid this feeling of disrespect for the victims. The Simpson trial was about the brutal murder of two innocent people. To ask about the cover of MAD – or, I mention too, laugh at The Dancing Itos on The Tonight Show – seems to inappropriately introduce humor into a horrible tragedy.